On Tuesday 16th of October the Meet the World series kicked off another season of encounters with other cultures, countries and nations. 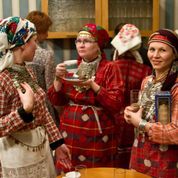 The event was also the first to introduce people from the Finno-Ugric language group, which Estonian is also a part of - the Udmurts. Visiting Domus Dorpatensis were Svetlana Karm from the Estonian National Museum, Irina Kuldkepp, an udmurt doing her doctorate in Estonia, and Kaarin Parts, an Estonian who has travelled in Udmurtia. Irina Kuldkepp was the first speaker and gave an introduction of Udmurtia ja Udmurtian people. She first reminded the moderator who had concluded his intro by saying that Udmurtia is not easy to find on a map, that neither is Estonia. She then went on to summarize a few key facts about Udmurtia, a state within the Russian Federation, autonomous since 1917 and known by the current name Republic of Udmurtia from 1990. The capital is Izhevsk, which is also the 19th largest city in Russia, containing around 600 000 of the 1.6 million people of Udmurtia, of whom about 30% are Udmurts. 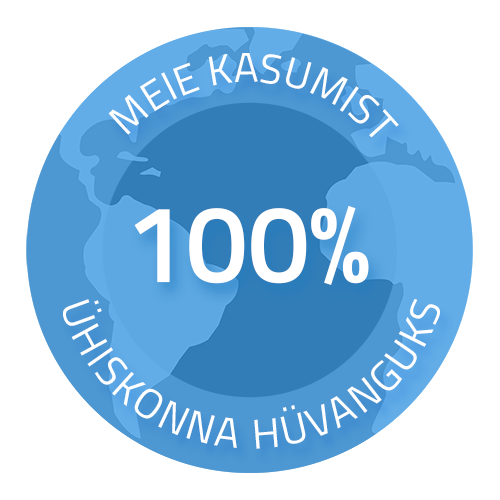 Around the world there are about 700 000 Udmurts, 300 of them in Estonia, 20 in Tartu. And half of the latter were also present at Domus Dorpatensis. Of the famous people associated with Udmurtia Irina named Pyotr Tchaikovsky, who was born there, and Mikhail Kalashnikov who now lives in Izhevsk. Between the presentations the musical group Yumshan Gur performed Udmurtian folk songs, receiving a very warm welcome from the attendees. 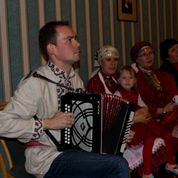 The band is a non-professional group founded in 1996 for local Udmurts to keep a cultural contact with their traditions and their country. Svetlana Karm then went a little more into detail describing the Udmurt culture. She pointed out that Estonian ethnographers are the ones that have done the most to preserve Udmurtian culture and study it. One of the largest collections of things associated with the Udmurtian culture is situated at the Estonian National Museum. 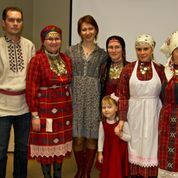 She also invited the participating Udmurts in traditional clothes up in front one by one to point out the details and differences in the clothing. Even more interestingly she highlighted a few lingual familiarities between Estonian and Udmurtian languages. For instance: puu/pu (tree), tuli/tõl (fire), vend/võn (brother). As the final speaker, Kaarin Parts talked about her experiences while travelling in Udmurtia. “The only assignment of my friend was to take along a dictionary and an atlas. Of course she left behind both,” she reminisced, which had perhaps not been the most promising of introductions to a trip but the welcome in Udmurtia had been extremely warm and friendly. The visitors from Estonia had been greeted with teary eyes and invited to participate in different festivities. Kaarin recollected that during one of the meetings with the locals she had sung the only song she remembered from her time studying Finno-Ugric languages at the university. As it turned out, the author of the song was in the same room. She described the locals as positive and friendly but at the same time worried about the future of the Udmurt language and culture. As customary, the evening was concluded by a round of questions from the attendees. Perhaps the most emotional was about what the Udmurts in Tartu miss most about their home. The answers ranged from close contact with the relatives to the traditional cuisine. Although the official part of the evening had thus concluded, the participants welcomed everyone to join in for a round of tea or coffee and some Udmurtian games, songs and dances.